Just ask Beyoncé&apos;s makeup artist. If you want to instantly look more polished—while barely even trying—put on a bright lipstick. (Eye makeup: optional.) It&apos;s fast; it&apos;s easy; and with so many shades to choose from, it&apos;s also incredibly FUN! 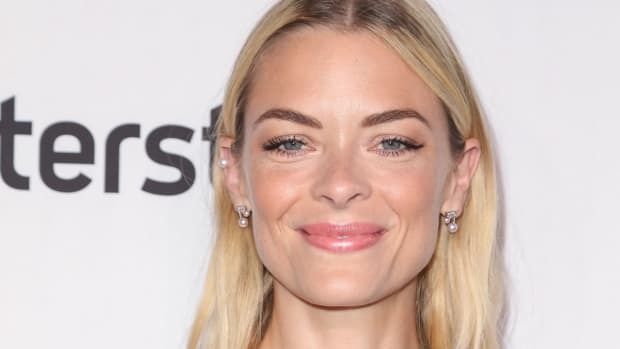 For this edition of celebrity beauty inspiration, I&apos;m switching things up and grouping the looks together under a theme, instead of showing you a random collection of newness. 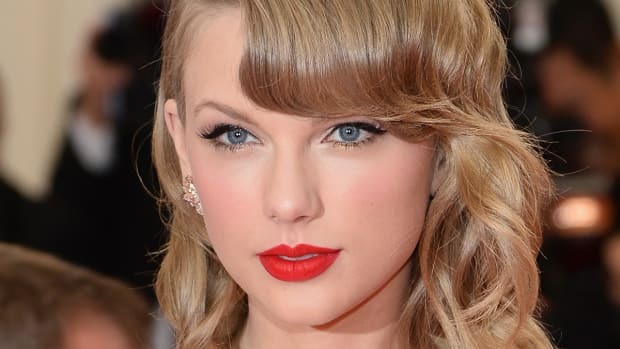 The plan is to highlight a different red carpet hair or makeup trend each time, such as pink eyeshadow, bobs, cat eyes, etc. Let me know what you think! Mandy Moore at the 2017 College Television Awards. 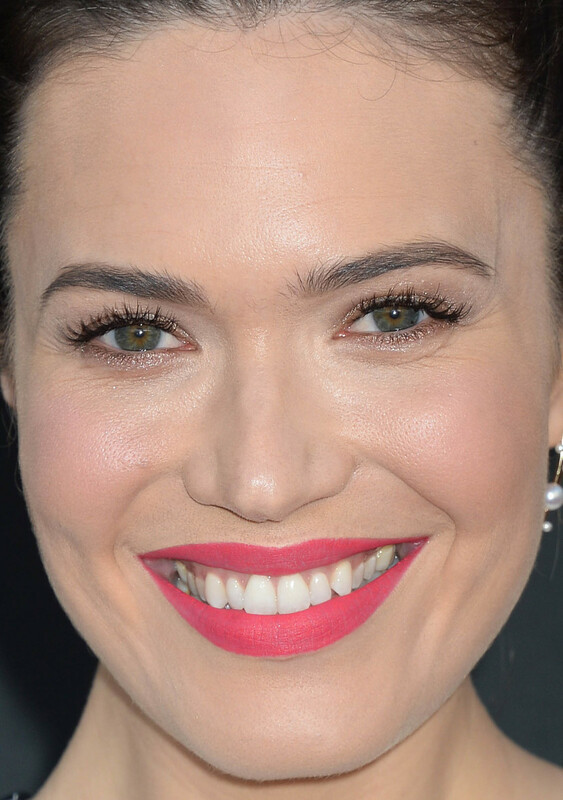 Close-up of Mandy Moore at the 2017 College Television Awards. What I like: Mandy&apos;s matte raspberry lip colour! (Probably a lip pencil, I&apos;m guessing.) It makes a vibrant statement with her perfected skin, soft brows and lashes, and some understated champagne shimmer under the eyes. The high bun keeps things pretty and polished. What I&apos;d change: Nothing. 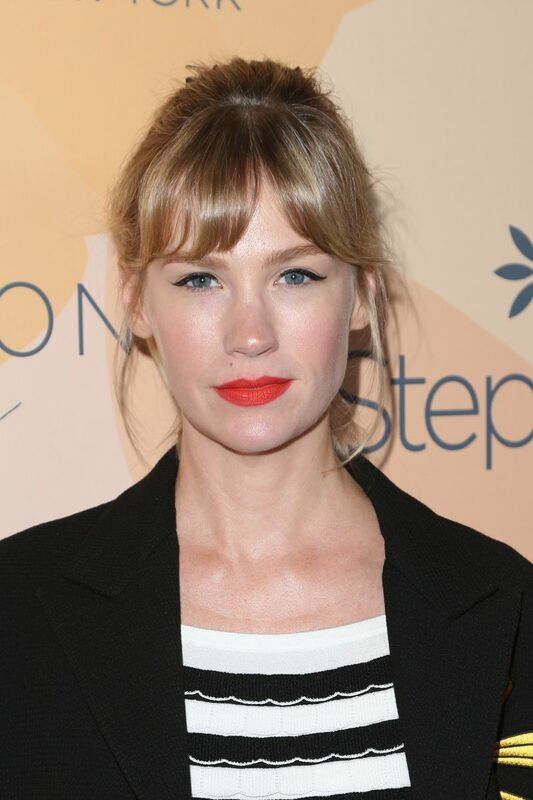 January Jones at the 2017 Inspiration Awards. 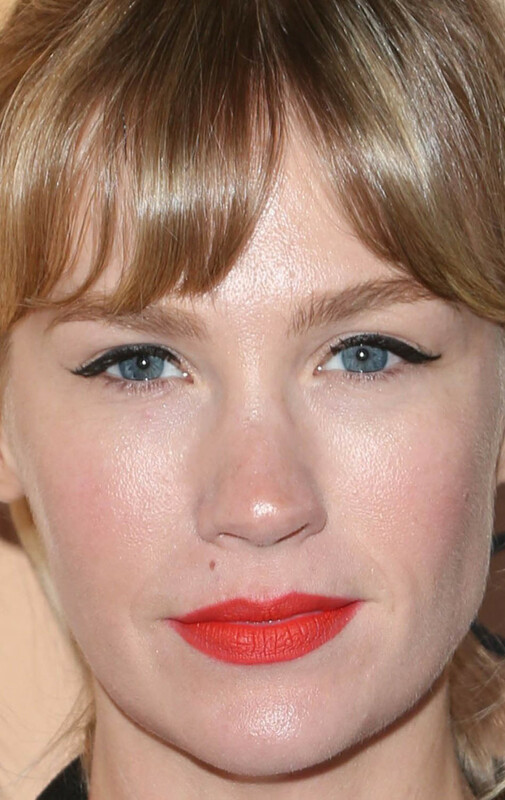 Close-up of January Jones at the 2017 Inspiration Awards. What I like: January&apos;s orangey-red lips and new bangs. I love these new bangs—they&apos;re very adorable on her! She could get away without the black cat eyes, but they add a fun Bardot effect with the hairstyle. What I&apos;d change: Nothing. Rashida Jones at the 2017 Turner Upfront presentation. Close-up of Rashida Jones at the 2017 Turner Upfront presentation. What I like: Rashida&apos;s bright but softly-textured fuchsia lipstick. This is that "blurred" effect we&apos;re seeing lots of right now. Her eye makeup has the same softness, and her hair is healthy and shiny. What I&apos;d change: I might just brush out her waves a bit more. Cobie Smulders at the 2017 Theatre World Awards. Close-up of Cobie Smulders at the 2017 Theatre World Awards. What I like: Cobie&apos;s bright red lips, straight full brows, and casual lob. Normally, I prefer blunt cuts, but these flippy, tapered ends look awesome! The shimmery, pinky shadow adds a fresh touch to the classic makeup. What I&apos;d change: The lashes are weighing her down. What I like: Christina&apos;s coral lipstick and dramatic eyeliner. There&apos;s actually a lot going on with the liner—a bold blue as well a black closer to her eyes to "ground it." I adore her curly hairstyle (wig? ), especially the face-framing bangs. What I&apos;d change: Nothing. 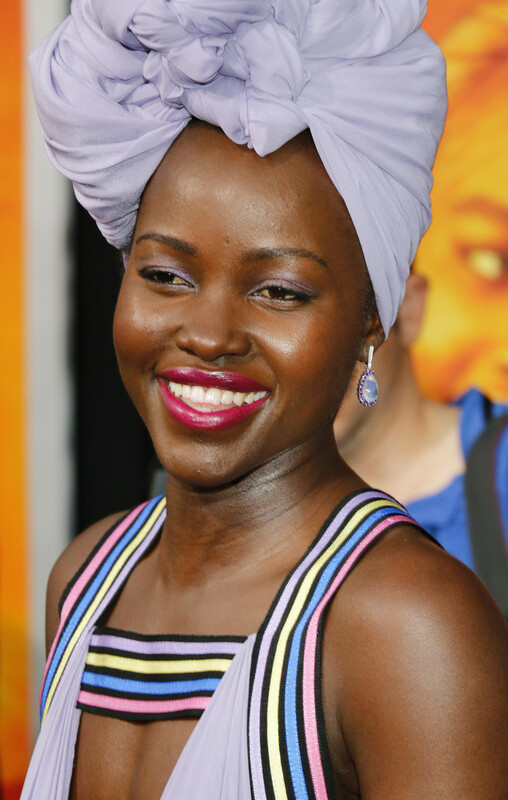 What I like: Lupita&apos;s glossy hot pink mouth—colour-blocked with lilac eyeshadow. I can&apos;t get over her pretty smile, and her skin! Of course, she&apos;s wearing the oversized head wrap like a boss. What I&apos;d change: Nothing. What I like: Holland&apos;s orange lips and sleek, tight hairstyle. As Mandy also demonstrated, there&apos;s nothing like a bright lip with an off-the-face updo for summer. Once again, the eye makeup is minimal, with just a hint of tone-on-tone shimmer. What I&apos;d change: Her skin finish is a little dry/powdery. 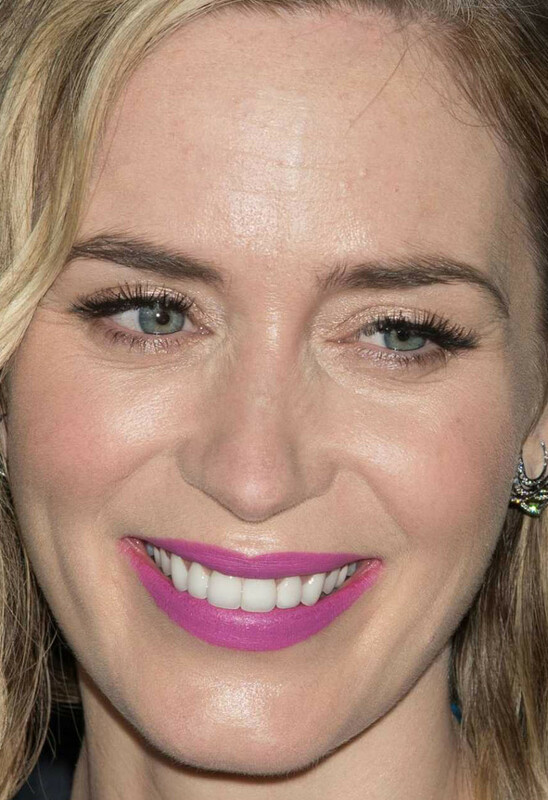 What I like: Emily&apos;s fresh take on violet lipstick (a notoriously difficult shade to wear). Except for the lashes, the rest of the makeup is super-bare, and the textured bob looks effortless. What I&apos;d change: Darker hair will always be my preference on Emily. Ali Larter at a 2016 Tiffany store opening. Close-up of Ali Larter at a 2016 Tiffany store opening. What I like: Ali&apos;s raspberry lips, dressed down by the loose, messy updo. If you look closely, you&apos;ll spot more pink shimmer eyeshadow. Her skin is very dewy, but it works because it&apos;s in such great condition. What I&apos;d change: I think she could consider a softer, less rooty blonde. Leighton Meester at a 2017 Kate Spade presentation. 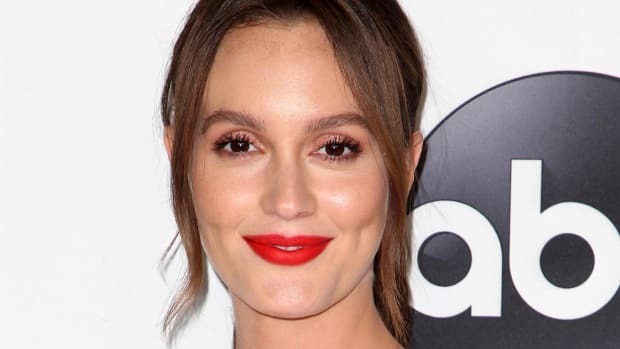 Close-up of Leighton Meester at a 2017 Kate Spade presentation. 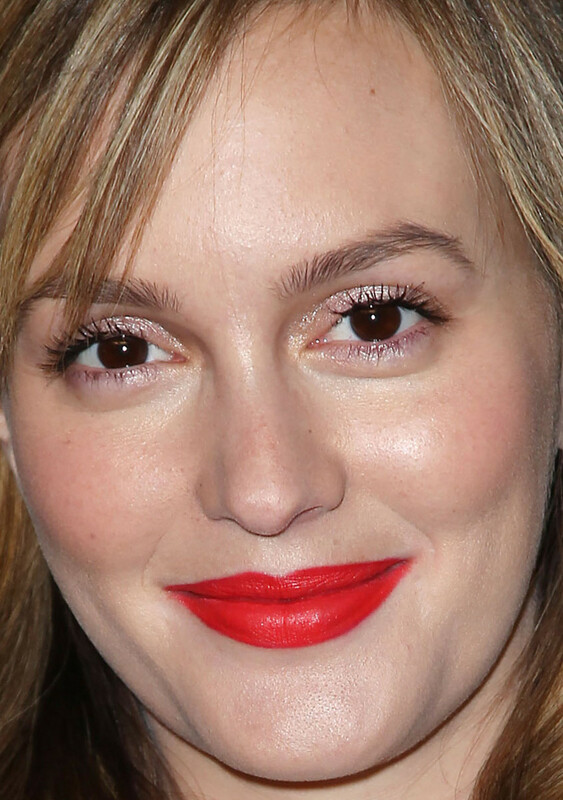 What I like: The pop of creamy red lipstick against Leighton&apos;s pale skin is incredible! All she&apos;s got on her eyes is some champagne shadow and a lick of mascara—my favourite way to wear a bright lip. The long blonde waves give this a casual vibe. What I&apos;d change: Nothing. 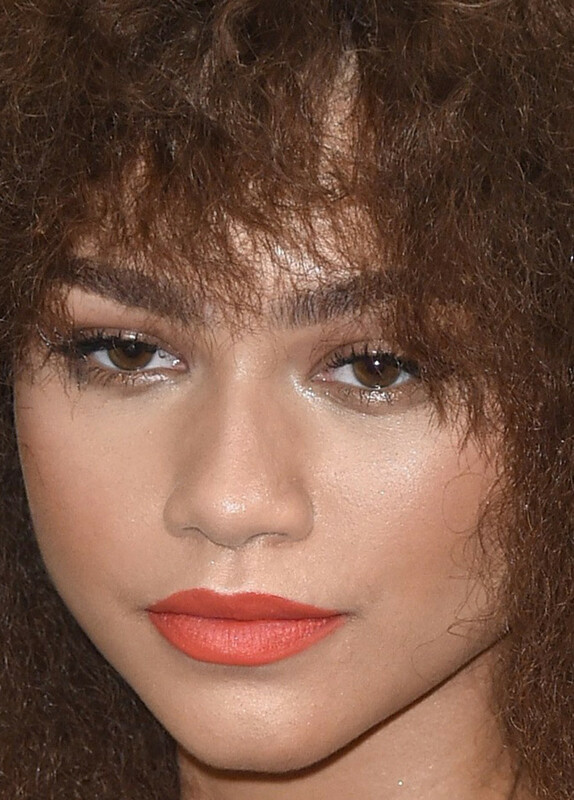 What I like: Zendaya&apos;s matte orange mouth and show-stopping curls (obviously!). But back to the lips—this colour is more unexpected than red, and surprisingly flattering on a range of skin tones. I love that she wore it with natural lashes, big brows and strategic highlighter. What I&apos;d change: Nothing. What I like: Olivia&apos;s neon red lips and ballerina-esque top knot. This lip shade is not your everyday classic red; the same goes for the warm rose eyeshadow. With fresh skin and freckles, she looks totally summer-ready. What I&apos;d change: I&apos;d leave the waterlines bare and get the false lashes glued down better. 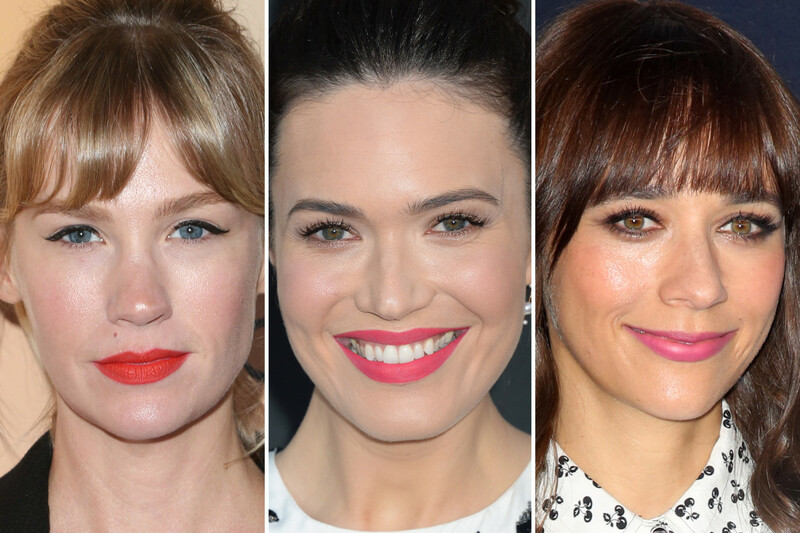 Which celeb has your favourite bright lipstick look?